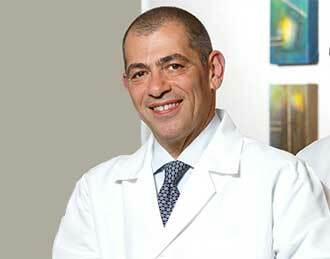 Dr. Aram Sirakian Specializes in Prosthodontics and Implant Dentistry. A graduate of Tufts School of Dental Medicine, Dr. Sirakian received advanced training in Oral Implantology and Biomaterials at the Brookdale Medical Center in New York. Dr. Sirakian continued his training and research at the the Harvard School of Dental Medicine, where he also received his Master’s degree in prosthodontics. Dr. Sirakian is board eligible with the American Board of Prosthodontics. In addition to lecturing on an international level, Dr. Sirakian has served on the editorial board of the journal of Oral Implantology. He is a member of the American Academy of Fixed Prosthodontics, the Academy of Osseointegration and the American College of Prosthodontists.